Versage Beauty is a boutique beauty firm that specializes in unique hair and skincare products for the professional beauty sector. At Versage Beauty we don’t just make beauty products, we bring you beauty solutions. Versage beauty solutions bring you value-added opportunities to your beauty business. We combine science, natures wonder and elegant product design to create product lines targeting unique beauty challenges. Versage is premiering its debute VenusFern Collection at the Revel ABA Show. Our VenusFern Haircare system was created to work with human hair extensions. VenusFern products target the problems that arise from hair extension wear such as dry hair, scalp irritation, and hair tangling. The 3 step hair system consists of Conditioning Mask, Shampoo and Conditioning Spray. Versage Beauty will be presenting a demo on the VenusFern Patent Pending Powder and Base System. This system consists of 3 powder blends and a conditioning base. These powders are formulated with botanical extracts like Seabuckthorn, Rosehip, Chamomile, Pearl Extract, Silk Powder and Canadian Glacial Clay. Powders are available in Violet, Blue, and Green. These powders also serve as color correcting for blonde and brunette hair colors. The green powder blend is perfect for men, works great on hair and beards. Powders are mixed with the conditioning base to create any hair treatment needed. The conditioning base is made from nurturing oils such as Avocado, Wheat Germ, and Argan oil. VenusFern Hair System allows for easy customization for the product to work with different hair types. 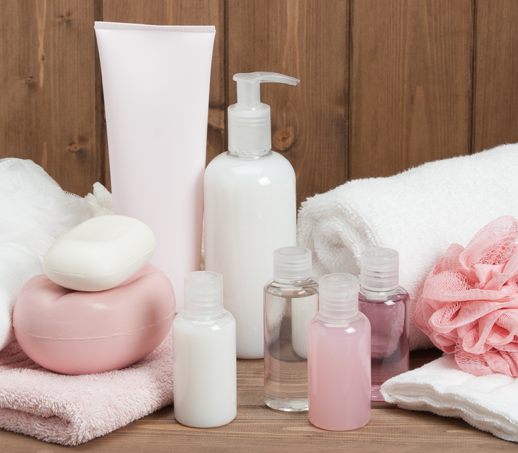 Ontario is becoming a growing market for cosmetic startups. As any beautypreneur knows that challenge is in getting the first few batches developed. The Canadian Cosmetic Cluster presents the Cosmetic Start-Up Guide - focusing on startup resources. The Canadian Cosmetic Cluster wants to welcome our new operations director - Dante D'Ignazio. Dante began developing natural cosmetics in 2014 and began his first cosmetic start up in 2016. 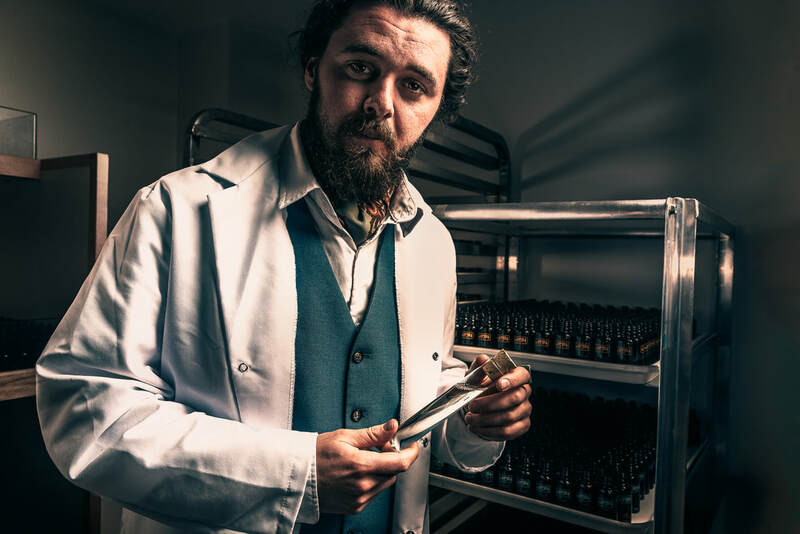 Dante studied entrepreneurship at Fanshawe college in London Ontario and is passionate about raw cosmetic materials, specializing in the development of natural products, brand development, & international trade. In 2018 Dante completed the Trade Accelerator Program at the Toronto Board Of Trade. In 2016/ 2018 Dante has been a participant in the Schlegel Centre for Entrepreneurship & Social Innovation with Laurier University. As an entrepreneur Dante has accumulated a great portfolio of resource and networks that are essential to establishing successful brands in the Canadian market. Communication and delegation are strong qualities that Dante brings to the cluster; overseeing and directing the future growth of the cluster, and the members involved. 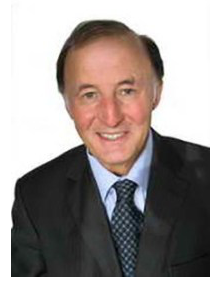 The Canadian Cosmetic Cluster would like to present our key founding partner and cluster member, Bertrand Walle. Mr. Walle specialized in Sales and Marketing positions and General Management with international companies in Canada – L’Oréal, Biotherm and Humpty Dumpty Foods. He brings his management experience and strategic marketing expertise to projects for international clients’ economic and commercial challenges. Since 1992, Bertrand has taken on over 50 international consulting mandates, with many of them extending over several years. Among them are international companies such as Alsago, and Spincontrol North America (efficacy testing of cosmetics). Walle and Associates projects range from strategic thinking and analysis to implementation. Bertrand has been working on mandates from TFO Canada as a TFO Canada Associate since 2004, starting with South Africa with cosmetics ingredients to finished products. He has worked abroad in South America, Central America, Africa, and Asia. 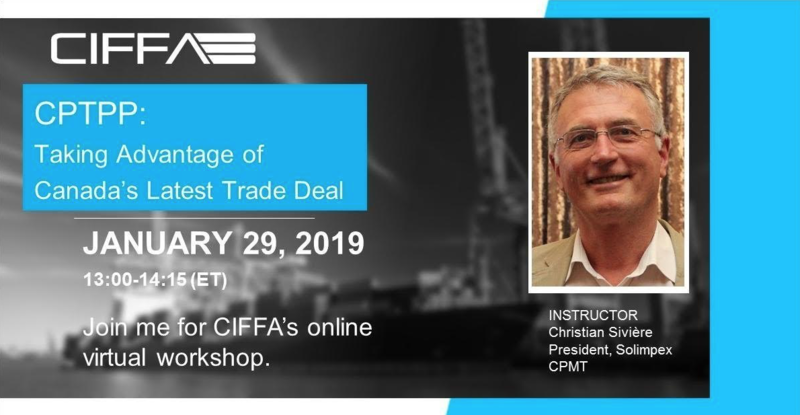 His involvement with TFO Canada ranges from selecting SMEs with export potential, through individual assessment and training, to facilitating Trade Missions from developing countries to Canada, particularly with B2B matchmaking in Canada. He is knowledgeable about gender equality issues and good social and environmental practices. He has been involved with over 30 TFO Canada mandates which are primarily in food and beauty products. In the food sector he has been and is still involved in both diverse food ingredients and processed packaged goods with products such as coffee, tea, infusions, confectionery products and nutritional supplements. In the Cosmetics sector he works the complete spectrum of beauty products from ingredients to finished products, both mass and high-end, through all channels of distribution, including E-Commerce. He successfully heads up Trade missions involving both exporters and buyers. Bertrand has an excellent knowledge of the Canadian food and cosmetic markets and has a solid, up-to-date Canadian network of buyers and distributors to market products from developing countries to Canada. Bertrand Walle is cognizant of regulations and distribution of organic products for both food and cosmetics. 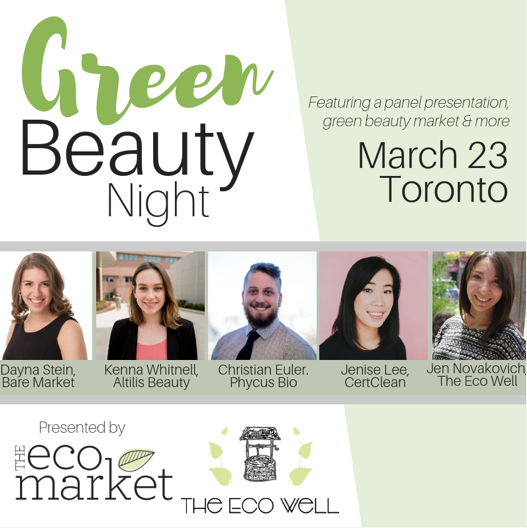 Join the The Eco Well and The Eco Market Canada on March 23rd for a Green Beauty Night, presented by. Featuring a panel presentation by Canadian industry leaders and a highly curated green beauty market. What is green beauty? This term is thrown around so flippantly, but what makes a product truly sustainable? Is natural synonymous with ‘green’? Should we be looking to certifications and non-governmental organizations for insights about our products? What are some of the metrics we should be looking to when calling a product green? This topic will be disseminated throughout the evening. Before and after, you’ll be able to shop from local green beauty brands and connect more with our panelists. Join The Eco Well for an evening of education, connection and fun! In addition to our panel and market, we’ll also be hosting poster presentations from local scientists studying sustainability in cosmetics. You’ll have the opportunity to learn about some of the amazing research coming from Canada and having an international industry impact. 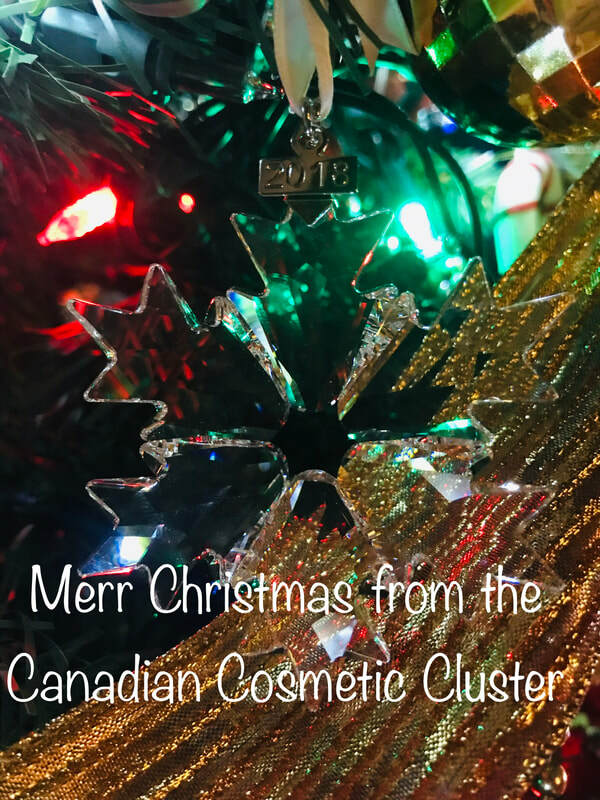 This year the Canadian Cosmetic Cluster focused on Canadian Glacial Clay (INCI: Canadian Collodial Clay). The Cluster featured Canadian Glacial Clay Company, Kilbourne Clay. Kilbourne Glacial Clay is one of the worlds most purest and mineral rich montmorillonite glacial clays. It is calcium based with an extensive portfolio of macro, micro and trace minerals that are all bio-available for the body to use. Clay is harvested in British Columbia. Used topically Kilbourne Glacial Clay nourishes and cleanses the skin, delaying the skins ageing process, gently removing wrinkles, softening skin, and brightening. Blemishes, black heads, and dark color deposits clear up over time, and the skin becomes rejuvenated, feeling fresh and revitalized. At the 72nd SCC Technology Showcase the Canadian Cosmetic Cluster did a live demo, making a Powder Cleanser with the Glacial Clay. Formulations for the Powder Cleanser and a Clay Mask are available below. Formulations done in partnership with Frontier Cosmetics Canada. Following the competition, there will be major national and international press coverage. The prize winners will also be able to benefit from project engineering facilities at Cosmetic Valley, in order to help them obtain government funding. 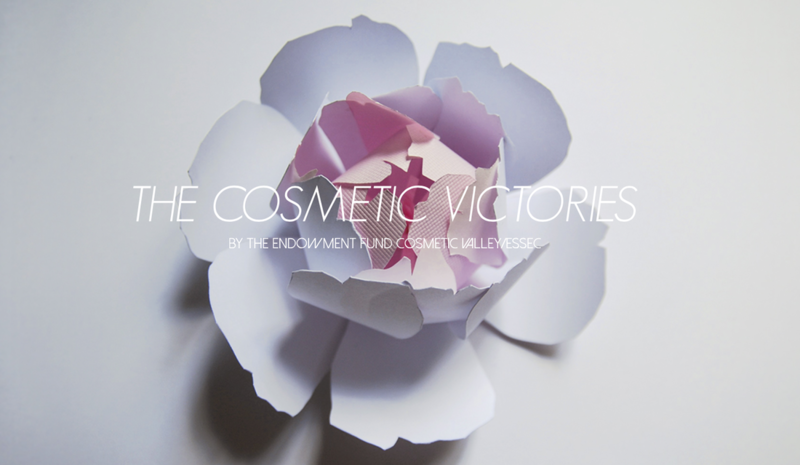 Winners of The Cosmetic Victories award will receive a cash prize of €10,000.